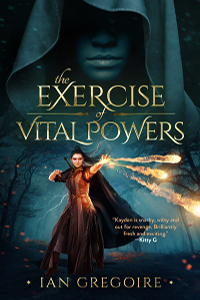 I may have mentioned, once or twice, that my novel The Exercise Of Vital Powers is one of the 300 entrants in this year’s #SPFBO contest. For those of you who haven’t been paying attention, the contest officially got under way on the first of this month, with the initial round to be concluded in December. Now that we are more or less two weeks into the competition, I thought I’d give a little update on the progress so far. The most significant development at this early stage is that Jared at Pornokitsch has already whittled down his pile of 30 books to just 4. So that’s 26 titles that have been culled so far; you can read the mini-reviews for these books by clicking HERE. The four remaining books vying to make it to the final stage of the contest are, Dead Letter by Benjamin Descovich, The War Of Undoing by Alex Perry, Under Witch Moon by Maria Schneider, and Irons In The Fire by Antonio Urias. The only other judge who has culled some of the books from their designated pile of 30 titles is Sarah at Bookworm Blues. She has so far read 6 of her entrants, and of those six books, Steven Kelliher’s Valley Of Embers is in preliminary contention to make it to the final, while the other five have been culled. Although no other books have officially been cut yet, Booknest.eu has posted reviews for five of their designated 30 books. 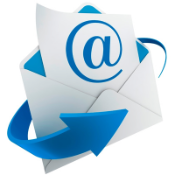 If you are interested in checking out reviews for those books, Mark Lawrence is maintaining a list on his official blog, HERE. My designated SPFBO judge Kitty G will be reading and reviewing five books from her pile this month, though The Exercise Of Vital Powers is not one of them. There’s no word on when she will get around to reading my book, but I’m actually hoping she reads it last. I’ll feel much happier at getting culled in December rather than before then.